I haven’t written a Five Things Friday post in almost a month! Life got crazy and then there was travel and family, but here I am! Alright, let’s cool it with the exclamation marks. This morning I am up bright and early because I am running a 5K with Nike and Kevin Hart! I love Kevin Hart and Neil and I were actually just watching some of his stand up on Netflix the other day. Look for a recap on Monday! Momentum Jewelry creates athletic and inspired jewelry that is designed to be worn through whatever activities you may be doing. I first learned of the company when I met Carlee at Blogfest and she gave me an awesome shoe charm to take with me. Then I realized that I loved the idea of these motivational messages and headed into the expo to find their booth. 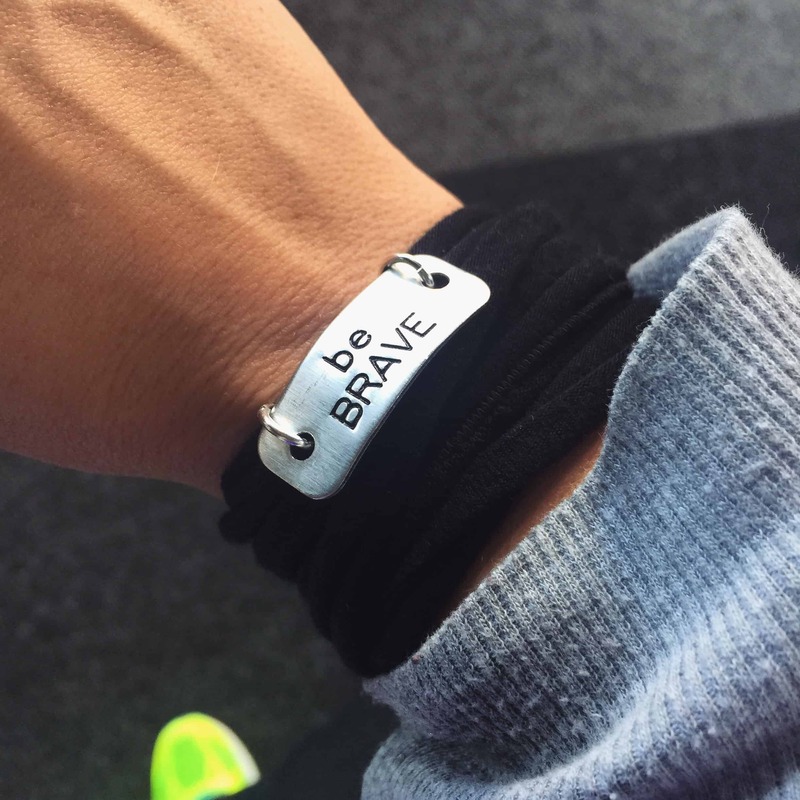 There were so many applicable sayings, but since I told myself I would only buy one for now, I chose “Be Brave.” The wrap bracelet is made of stretchy fabric that I can barely feel when wearing it. If you have a serious sweat session, simply rinse the bracelet in cold water and you are good to go. I have been wearing it daily and whenever I have a challenging situation or need to take a risk, I simply look at it and remind myself to be brave in all my actions. An article that I had originally written for Your Tango was picked up by Refinery29 and shared on their site! I forgot how much I love blueberries. I usually have frozen ones in my smoothies, but nothing beats the real thing. I saw these when I was shopping at Costco yesterday and have eaten almost half the container. My favorite combo used to be plain Fage Greek Yogurt with a handful of blueberries and I would eat it every morning for breakfast. Maybe I need to get back into that before the winter comes and blueberries will then be $231657897. From fruits to vegetables, I really enjoyed this Mushroom Medley from TJ’s that I had yesterday. I’ve actually had it for awhile in the freezer, but heated it up to have with a salmon burger yesterday for lunch. I love mushrooms and they were ready in about 5 minutes! The Renaissance Soul (affiliate link) has had me captivated for the past week. It focuses on those of us who have a myriad of passions and are unsatisfied doing only one thing for the rest of our lives. Often misunderstood by friends and family, Renaissance souls are pulled in many directions and can possess resumes that offer little continuity in career fields. 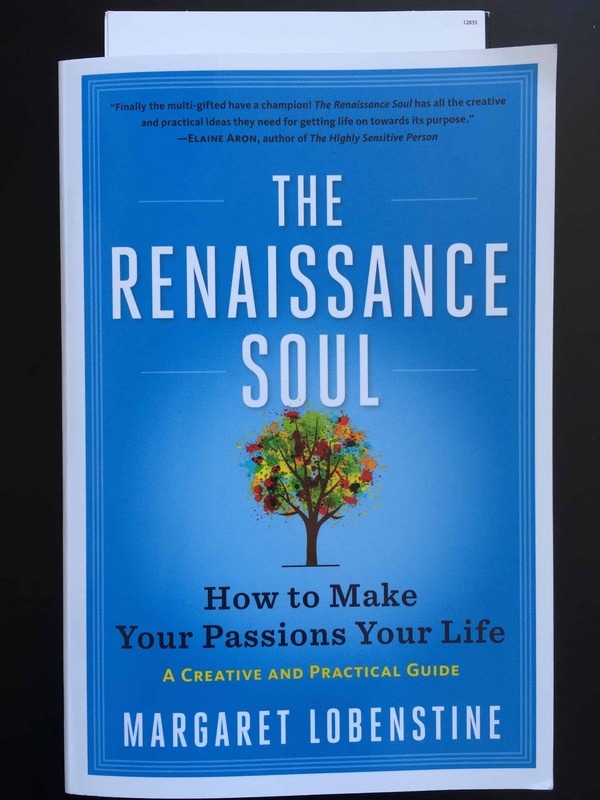 This book is great because it helps define this personality type and also provides practical ways to pursue many different passions without becoming scattered and overwhelmed (like me!). I was surprised when I actually started to do some of the exercises laid out in the book. Most of the time when I read books that are also guides or have activities, I skip over them and only read the content. I identified with the examples provided so much that I felt like I may actually benefit from writing out some of her suggestions. This weekend Neil and I are going to go to either the planetarium or the aquarium for my belated birthday trip, but I can’t decide which one to do. I want to go to both, but I am also lazy, so in all reality I will probably only want to do one and save the other for another day. Which one would you do?? I definitely need to read the Renaissance Soul. Sounds like it has us pretty well pinned. You can borrow mine when I’m done if you’d like. I’m almost there. I’ll have to grab a copy of that book. I’m always looking for a good motivational read. I’ll put it here, on top of my massive pile of must-reads. I either need more time or less work so I can finally finish these! It’s a good one! I have so many books on my nightstand just waiting to be read! aquarium or planetarium?! that is a tough one. Both! 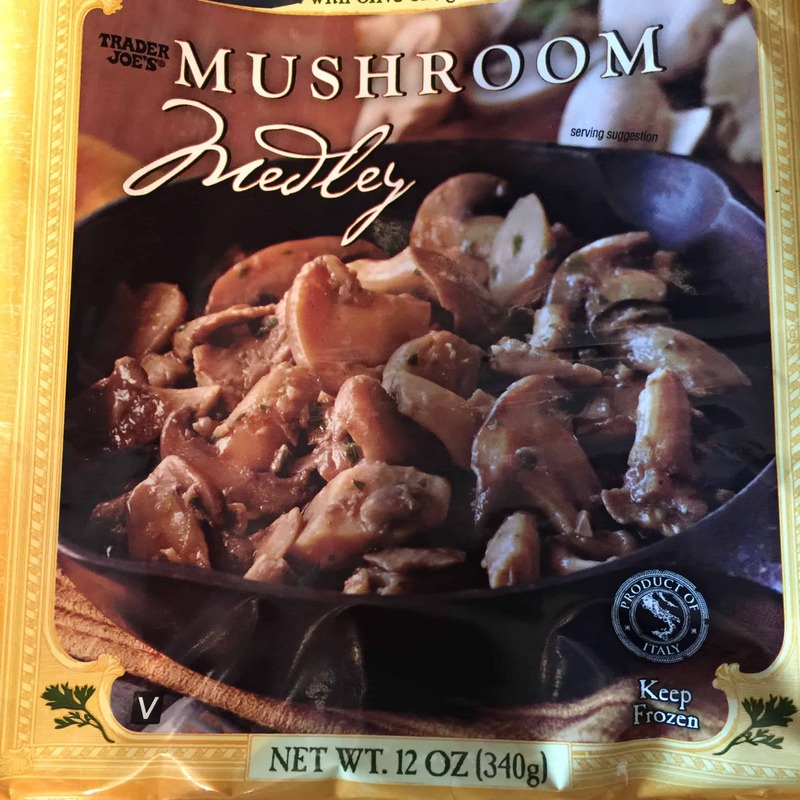 I love mushrooms so I’ll have to give the mushroom medley a try. Planetarium!!! I have wanted to go to one for son long. It’s a tough choice! I’m currently reading Fat Girl Walking by Brittany Gibbons. I actually got it yesterday and I’m 3/4 of the way through it. I think it is an absolute must read. I think it should be mandatory for young women at school to read it. It’s that great! Happy belated birthday! Nice! I’ll have to check it out. I went w the aquarium but I definitely want to make it to the planetarium too. Happy belated bday to you too! 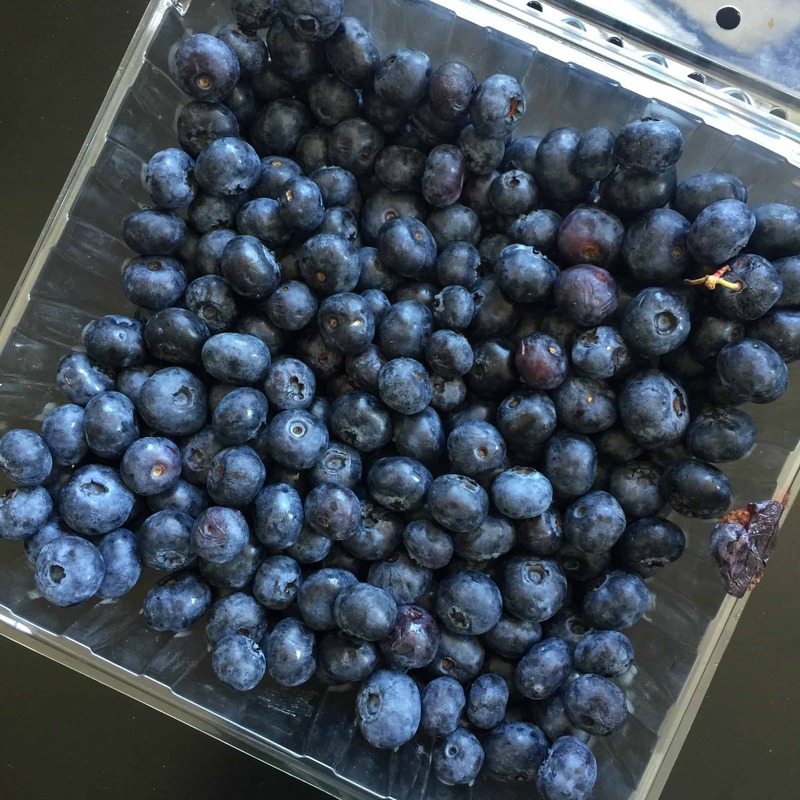 I love blueberries so much!! They’re good in EVERYTHING, and esp. by the handfuls. I’ve seen so many bloggers wearing Momentum Jewelry – off to go check out their site! I’d pick the aquarium 🙂 but I love the planetarium, too. Have fun!! I was thrilled that you stopped by our Momentum booth at IDEA World, Erin! Interesting and inspiring people like you are seriously why I have taken this path and why the journey has been so rewarding. I would hands-down choose the planetarium because I’ve never been to one before and think it would be fascinating. Looks like I will be headed to the bookstore now – that looks perfect! It was great! Thank YOU for such an uplifting and simple product. I went w the aquarium, but the planetarium is coming up next! Haha that would be great. The Baltimore Aquarium is always my #1 since I grew up in MD, but I’m glad I went. I wanted to be a marine biologist when I was little and I love everything about the water. I love blueberries too! I had this tragic thing happen to me once, though. I was running along a farm road with my run club and there was a farmer out there on his tractor spraying pesticides on his blueberry field. He was head to toe in a white space suit, wearing an oxygen mask, full-face. I kid you not. We literally, legit ran through a coloured cloud of chemicals while he drove his tractor along the perimeter of his property. I was off blueberries for a year or two but now I’m just like, whatever. Bring it on. Oh man that’s terrifying. Maybe they gave you super powers?